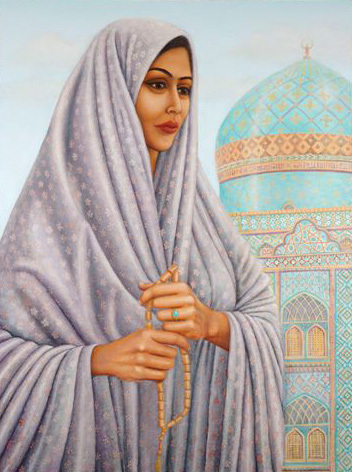 This entry was posted on Sunday, July 26th, 2009 at 12:29 PM	and tagged with amazing women in history, Bahai, Bahai Faith, Bahai martyrs, Bahai poet, Bahais, Emancipation of women, gender equality, Martyr, religion, strong women, Tahirih and posted in Uncategorized. You can follow any responses to this entry through the RSS 2.0 feed. The importance of women – Baha’i Faith Quotes. « Think…then speak. I am only writing to make you understand of the perfect encounter our daughter developed studying your site. She noticed a good number of things, which included how it is like to possess an ideal helping heart to let men and women quite simply fully grasp a variety of tricky things. You really exceeded people’s expectations. Thank you for offering the warm and friendly, dependable, revealing and as well as unique tips about that topic to Jane. Dear friend, your feedback truly humbles us and is a real encouragement for us to write more posts. Keep on investigating! how can ı find Táhirih’s poems? I can’t find it in the link.